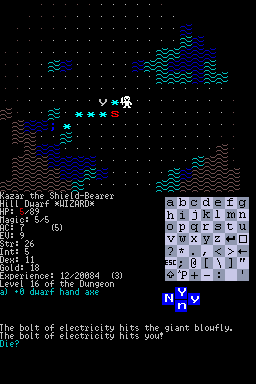 This is port of Linley's Dungeon Crawl to Nintendo DS. 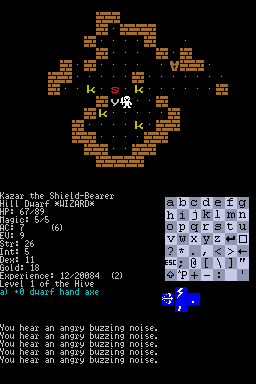 Dungeon Crawl is a rogue-like (similar to Nethack, Angband etc). It has close to 400 monster types and over 200 spells. This is not just a straight port. Some effort has been made to make this port playable on a portable console - formatting the output into windows, designing an input system with shortcuts that is quick to use etc. I have personally played it many hours and I think the controls are pretty comfortable. - what about the VBLANK IRQs ? DSCrawl dldi beta 1 NEWEST!